It’s officially the spookiest time of the year, so Happy Halloween everyone! This means there is no better time to serve you a pumpkin pie made of equal parts science, history and terrifying legend! Now, close your eyes, and picture London in 1918. Women over the age of 30 (provided they were also married to a local government elector) gained the right to vote, and the First World War was coming to an end. Did I say vampires? Sorry, I meant the Spanish Flu! 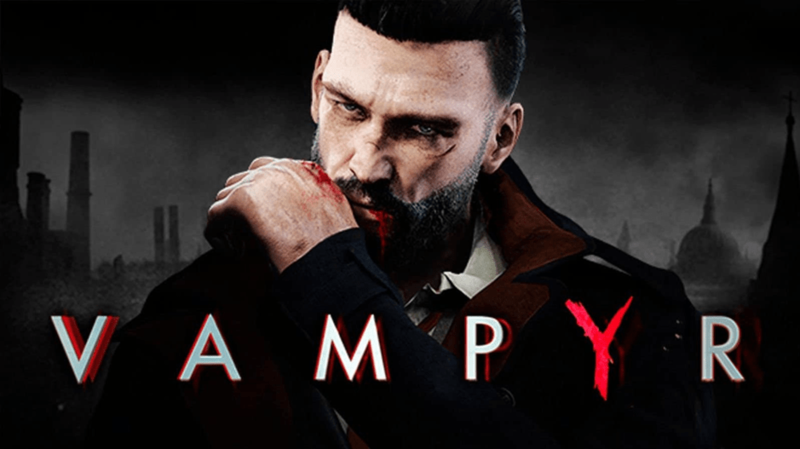 You see I’ve recently been playing Vampyr, a fantastic game in which you play as Dr. Jonathon Reid; a top physician, man of science, and dedicated warrior against the Spanish Flu epidemic in London. But upon his return to London, Reid is transformed into a bloodsucking creature of the night. He takes the night shift at the Pembroke Hospital to account for his absence during the daytime. The game pits you against your own morality. Jonathon has an obligation to help people. On the other hand, he is now a vampire, and must consume the blood of others (killing them in the process) to sustain himself. One of the most enjoyable aspects of the game is how authentic it feels. The game developers have done a great job in capturing what it was like to live through the Spanish Flu. But before I get into that; why is it called th e Spanish Flu? If your country is fighting in the First World War, the last thing you want is word getting out about how badly your people are suffering from the flu. So, what did these countries do? They censored their media. Not exactly shocking, I know. In truth, there are several theories about where this strain of Influenza came from – and none of them involves Spain. The top three theories of origin are Kansas, U.S.A.; Étaples, France; or Northern China. Despite the newspapers reporting otherwise, many countries were hit hard by the Spanish Flu. So why was dealing with the flu more of a struggle than a world war? Despite great strides made in medical research, there was quite a divide between the research and medical practice. Take germ theory for example, which states that many diseases are caused by microorganisms. Today we might think that’s just common sense. However, before Germ Theory, people simply believed that the air or water itself caused disease. Despite the advancement of germ theory in medical research throughout the late 1800s, it still wasn’t widely accepted in medical practice. Without a sound understanding of what they were dealing with, the Spanish Flu was simply impossible for the medical professionals of the time to defeat. Some estimates suggest ~500 million people were infected with the Spanish Flu in 1918, so it’s no wonder that hospitals were over-crowded. 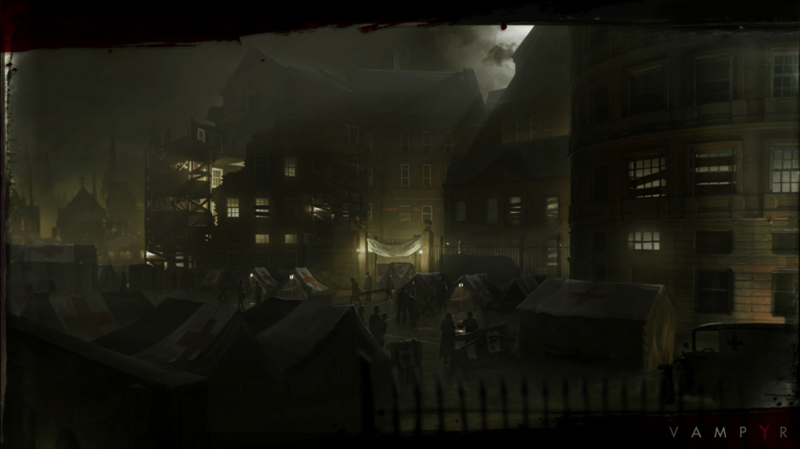 Many hospitals, like the Pembroke Hospital depicted in Vampyr, had to erect tents in and around the hospital grounds just to accommodate the vast number of patients. Many hospitals, like the Pembroke Hospital depicted in Vampyr, had to erect tents in and around the hospital grounds just to accommodate the vast number of patients. Thanks to scientific advancement and modern medical methods, the number of people dying from influenza is no longer in the 50-100 million range. These days however, there are 650,000 flu-related deaths each year. Even in the absence of a pandemic, flu remains a serious problem. Flu symptoms in 2018 usually includefever, headache, chills etc. However, the 1918 Spanish Flu was different – it was a nightmare. The average patient might be admitted to hospital with the symptoms described above. However, within a few hours, things could become dire. Lung function would decline, causing the patient to gasp for air as their skin literally turned blue. The lungs would also haemorrhage blood, which would seep out of the eyes and ears as well as spurting out of the nose (up to a few feet). Needless to say, patients were in excruciating pain. Lung function would decline, causing the patient to gasp for air as their skin literally turned blue. Honestly, these descriptions sound more like something from a horror film than reality. Perhaps that’s why the Spanish Flu was the perfect backdrop for a game like Vampyr. In the game, when wandering the deserted streets of London, you’ll have some opportunities to rescue citizens from “Skals”. “Skals” are a sub-species of vampire that more closely resemble ghouls or zombies. Interestingly, if you choose to rescue citizens from these creatures, they’ll claim that these “Skals” are just normal people who have, “…gone mad from the epidemic”. At first, I thought this was a little far-fetched, but there are some stories of individuals who underwent dramatic behavioural changes upon recovery from the Spanish Flu. The most intriguing example of this is U.S. President, Woodrow Wilson. Some historians believe that Wilson became more argumentative, aggressive, and stubborn following his recovery from the flu. I wonder if this may have contributed to how severe the armistice treaty was towards Germany following WWI (something that certainly contributed to the animosity that would spark WWII). 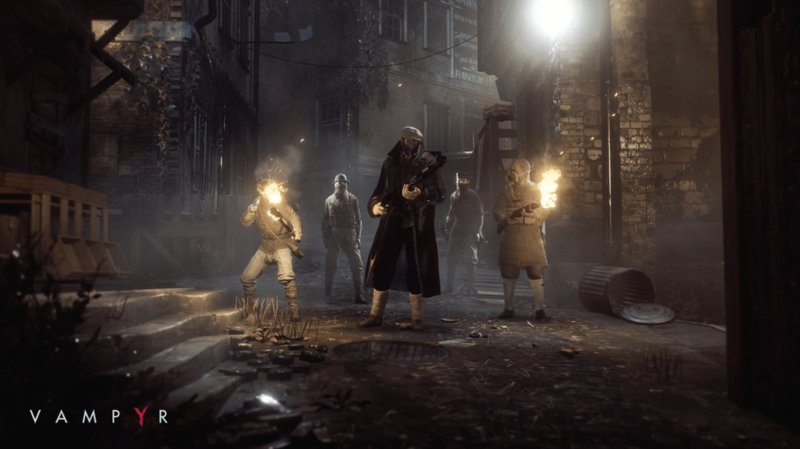 As I continued to play through Vampyr, I wondered how regular people – like my friends and family – would have coped with the situation. What must it have been like to live through this dreadful pandemic? Imagine it’s a Saturday afternoon, and you’re strolling down the main street of your home city. Now imagine you’re completely alone, you walk all day without passing another living soul. 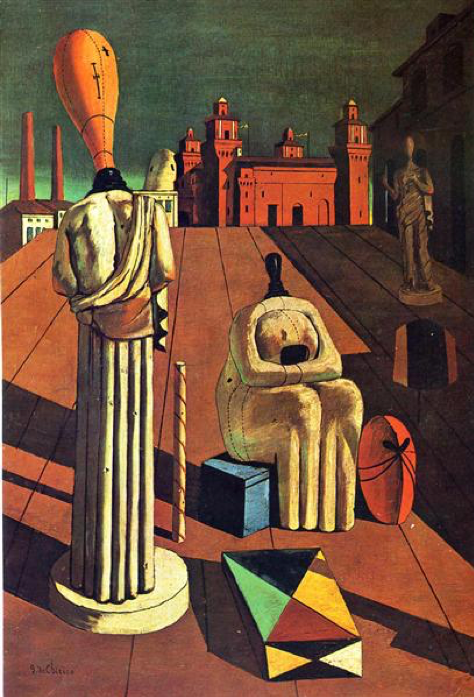 This eerie loneliness was the feeling you might have had during the epidemic, and it’s expressed in the work of the artist Giorgio de Chirico, who lived through this terrible period. Much of his work shows ominous and desolate streets and plazas. These same feelings are recaptured in Vampyr. As Dr. Reid explores the deserted streets of London, the people he does meet are not entirely alive…or dead for that matter. 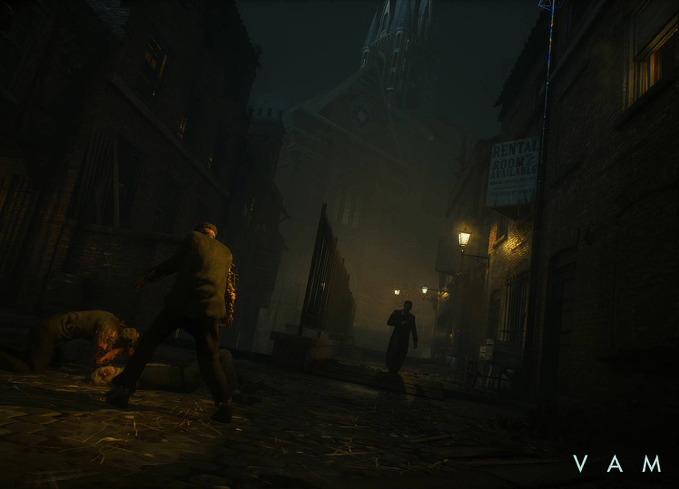 This overwhelming sense of fear and panic is best illustrated through Father Tobias Whittaker – a local priest in the Whitechapel area of Vampyr. Dig enough into his shady background and you’ll discover his sins. In his misguided attempt to prevent the spread of the flu, Father Whittaker has been burning potential flu victims alive. Dig enough into his shady background and you’ll discover his sins. In his misguided attempt to prevent the spread of the flu, Father Whittaker has been burning potential flu victims alive. While this was certainly one of the darker storylines in the game, I remember scoffing at how unlikely it was that this would happen in real life. On more than one occasion during the Spanish Flu, “family slayings” were carried out by the parents of sick children. Worse still, these were sometimes carried out before an official diagnosis. The more you read about the Spanish Flu, the more you begin to wonder how we would cope against a similar threat today. 2018 marks 100 years since the Spanish Flu pandemic and the question is – what have we learned? Well, the good news is that science and medicine have come a long way since 1918. Obviously, since we now accept Germ Theory, we all understand the importance of washing our hands. Also, virology and bacteriology have made great strides and as a result, we now have access to anti-virals and antibiotics. This means we are now capable of directly treating viral infections as well as the secondary bacterial infections. In addition to now being able to isolate and accommodate large numbers of infected patients, we also have seasonal flu vaccines available. Each year, top virologists meet and decide which flu strains to target in the seasonal vaccine. Their decision is based on which strains are circulating around the world at that time. So even after potentially scaring the wits out of you with the story of the Spanish Flu, I’m now telling you not to worry… well, maybe just worry less than if you were a time traveller from 1918. But if you’re still more frightened than when you first saw a paranormal activity film, then go get your flu shot. Also, it never hurts to be familiar with the symptoms of the flu. Ultimately, when winter comes, don’t be afraid to visit your doctor…unless you suspect he’s a vampire! If you want to read more blog posts about Influenza (e.g. Swine Flu or Bird Flu) let us know! 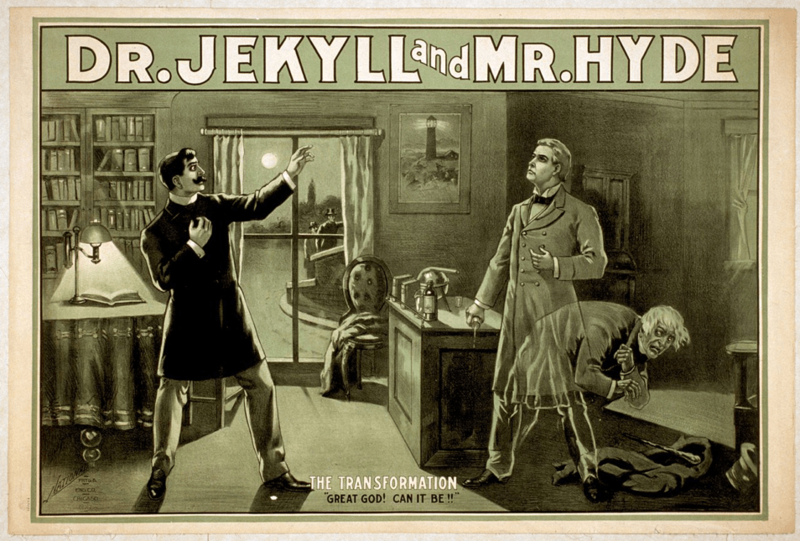 This Podcast Will Kill You – A terrific podcast about infectious diseases. Episode 1 is on the Spanish Flu and each episode gives you the recipe for a topical cocktail known as “Quarantineys”! The Flu Vaccine – Here you’ll find information provided by the Centre for Disease Control & Prevention (CDC) on the Influenza Vaccine. In just the first 6 months of 2018, Europe has had a staggering 41,000 cases of measles. This is worse than any other full year in the last decade. It’s almost 8 times the number of cases in 2016 and I dread to think what the count will be by the end of the year. Would you like to be able to set your friends mind at ease if they have concerns about vaccination? 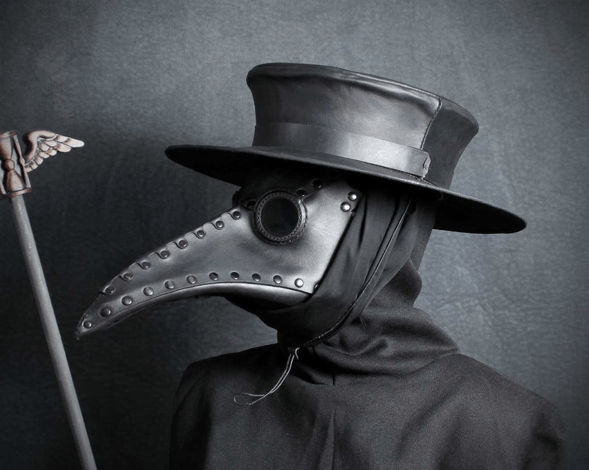 Perhaps you’d like to be better prepared for when you encounter an anti-vaxxer? Well, then this article is for you. One by one I’ll go through some of the most common arguments raised by anti-vaxxers, and provide some scientific evidence to refute them. If there are any arguments you’ve heard, that I’ve not listed here, feel free to leave them in the comments section, and I’ll update this article as time goes by. This post is not a battle cry against anti-vaxxers (that will come in part 2), but rather, a comprehensive review of the science behind vaccination. The aim is to help anyone who is unsure gain a better understanding of the facts and evidence supporting vaccination. Hopefully what they find here, will improve their confidence and understanding of vaccination.